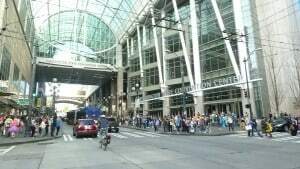 I just returned from Emerald City Comic Con (known as ECCC) 2016, held April 7-10. This con is gaining recognition as a major convention, yet many are still unfamiliar with this event. ECCC is a ‘middle-aged’ con, having been founded in 2003, with an attendance of 2,500 people. Over the past 13 years, attendance has only increased, and in 2016 it topped 88,000 people, making it the biggest con in the Pacific Northwest. This includes a large percentage of local attendees, proud that Seattle, WA is home to their con, yet the event is prestigious enough to draw people from all over the Canadian and American west coast. 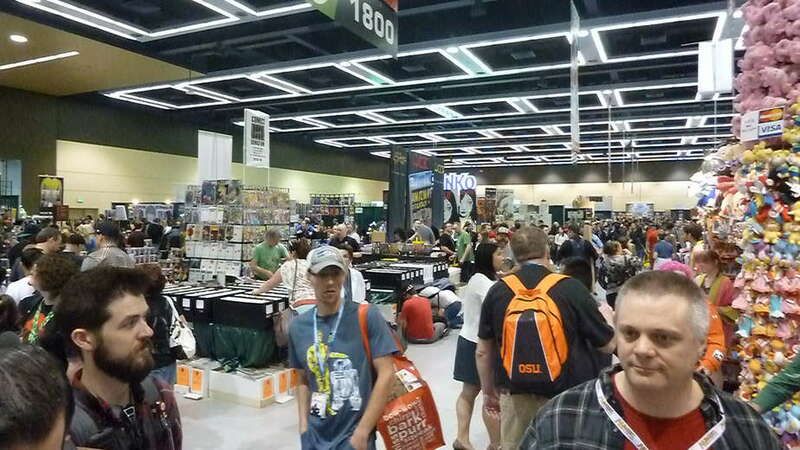 Just before ECCC 2015, the con transferred from private ownership to becoming part of the ReedPop family. ReedPop is one of the largest commercial convention presenters with shows held worldwide. In the US, ReedPop’s cons include New York Comic Con (NYCC), Chicago Comic & Entertainment Expo (C2E2) and Star Wars Celebration. It was widely presumed that ReedPop purchased ECCC as a way to establish a foothold on the west coast, and to indirectly compete with San Diego Comic Con (SDCC). So how do the two compare? 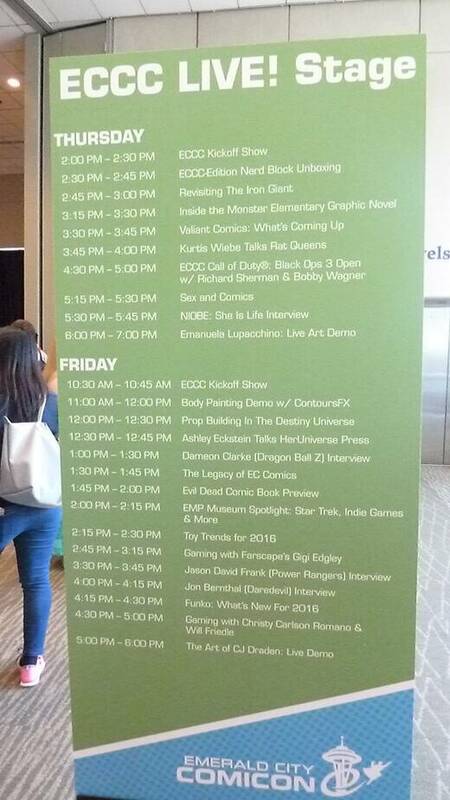 What influence did ReedPop have on this year’s ECCC (held April 7-10, 2016)? Clearly ECCC is nowhere near as massive as SDCC, but it is a large, well-attended con, spread across 2 convention centers and one hotel. 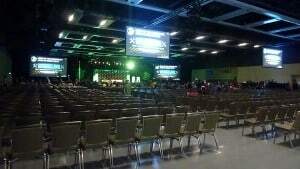 The obvious difference is that ECCC lacks a ‘Hollywood’ presence. 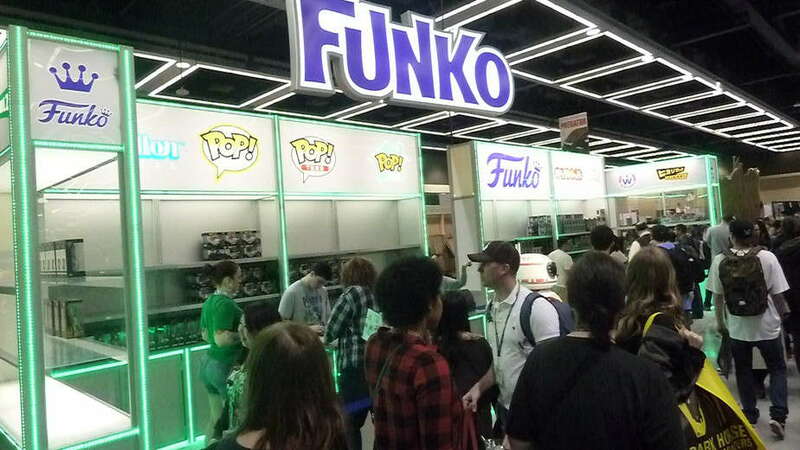 There are no studio booths, and very few ‘commercial’ booths on the exhibit floor (although the number of large booths increases each year, with 2016 marking the debuts of Funko exclusives and a Weta booth on the exhibit floor). While there are entertainment celebrities present, the focus is on selling autographs and photo ops (similar to a Wizard World con) and panels with these celebs are limited to one-on-one interviews and audience Q&A. 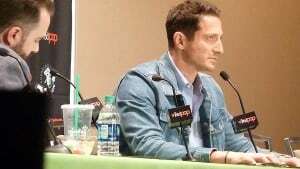 You will not find advance screenings, major announcements or media-hyped studio panels featuring multiple cast members of national television shows and movies (although you might find such panels for local, independent film studios, on a much smaller scale). In this arena there is no comparison to SDCC. 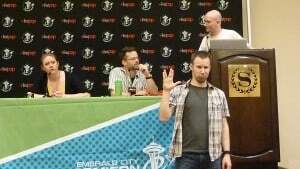 Where ECCC shines is in its offerings to various elements of the fan community. The Writers’ Block hosts multiple national book publishers and authors, offering numerous panels and free autograph signings every day. It is easy to find free book giveaways and literary discussions to intrigue any avid reader. 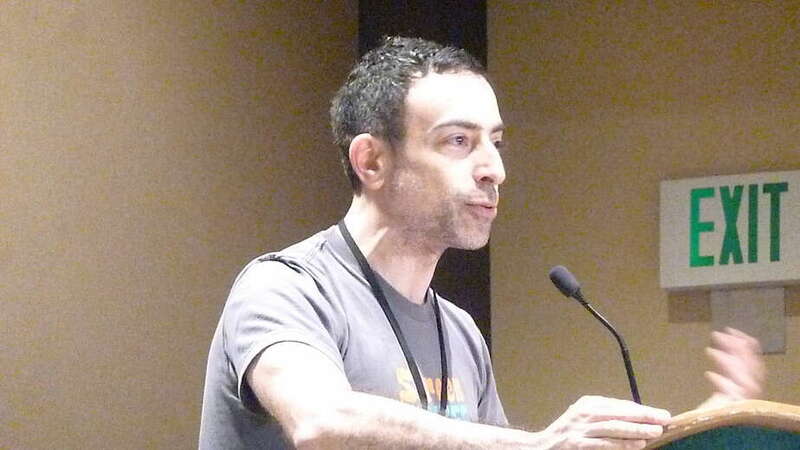 For example, this year’s show included panels on creating your own worlds, developing strong female characters, and publishing your own works, among many others. ECCC also boasts a strong cosplay presence, with a large percentage of its attendees dressing in costumes of all types and complexities. Numerous professional cosplayers are present, and every day there are a number of quality cosplay panels, from helping out beginners, to wig workshops, to creating foam armor. ECCC is also host to the Western Championships of Cosplay, a prestigious and competitive event that draws a large crowd on Saturday night of each convention. Yet my favorite aspect of this friendliness toward those of us who like to dress in costume is the Cospitality Lounge, a series of rooms dedicated to fixing any mishaps that might occur with your costume, be it paint scratches, dents, rips, tears, or wig tangles. Armed with needles, glue guns, paint, and other accoutrements, a number of people are ready to assist you with your cosplay repairs and get you back out there, enjoying the con. Gaming at ECCC is serious business. Two entire floors of the next-door Sheraton hotel are dedicated to gaming spaces, including console games, tabletop games, CCGs (including Magic: The Gathering), RPGs, and arcade games. There is a full schedule of gaming panels held in this area, catering to both players and game developers. 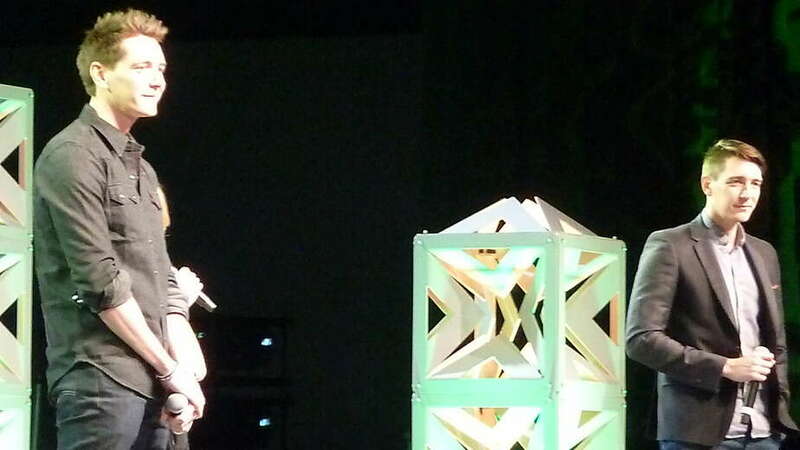 The highlight of the gaming lineup this year was an ECCC-inaugural performance of Gamers: Live, a show that normally only occurs at GenCon and is considered one of the premiere events of that convention. Another standout aspect of ECCC is its family-friendliness. An entire floor of The Conference Center is dedicated to children 12 and under. This year, Family HQ was host to Lego exhibits and play areas, a Star Wars immersion zone, Jedi training for young Padawans, balloon artists (Star Wars creations were among the most popular requests) and numerous panels on engineering, electricity and ‘super cool science’ put on by the Pacific Science Center. 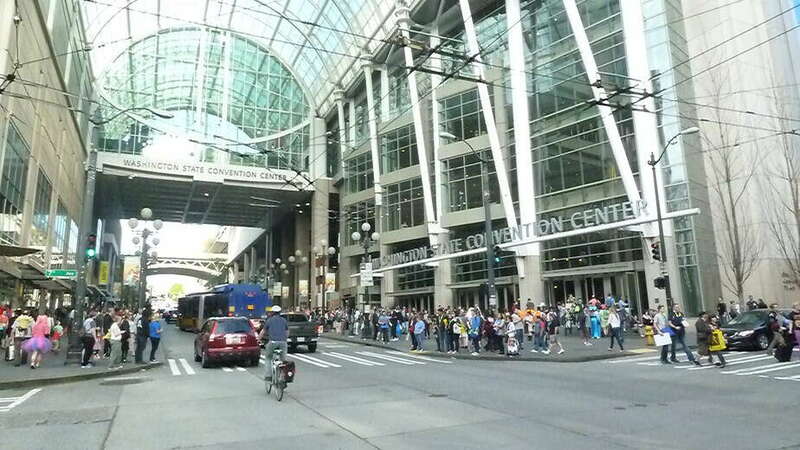 Artists’ Alley at ECCC is very large, and is not confined to only one area. It seems that everywhere you go, you will see a wide selection of artists and independent comics. 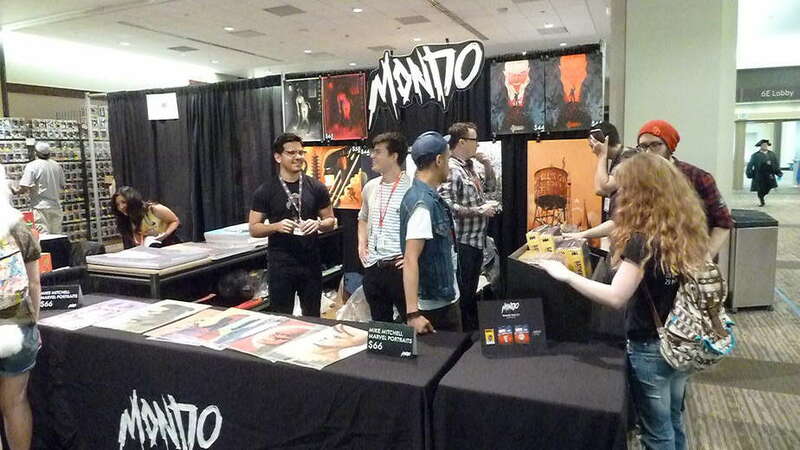 ECCC is known as one of the premiere events for artists, and its’ Artists’ Alley applications are always in high demand. 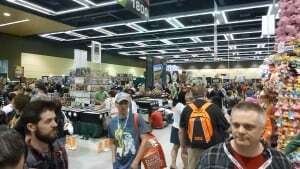 Clearly, ECCC makes a significant effort to cater to all types of fans, and has a reputation for being one of the ‘fan-friendliest’ cons out there. ECCC was a pioneer in the ‘Cosplay is not Consent’ movement, and one of the first cons to offer gender-neutral restrooms. ECCC personnel carefully monitor their Tumblr page, patiently responding to nearly every fan query that comes their way. Each year, they survey attendees and use the results to determine a list of official fan meetups, where attendees can meet in a safe place to engage with others and discuss the fandoms they love. In 2016, there were fan meetups for Walking Dead, Dr. Who, Game of Thrones and anime, among others. 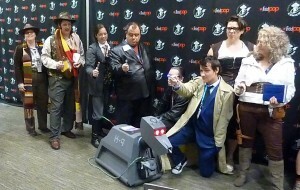 Such events usually result in a cosplay photo gathering for the related property, and are always well-attended. In 2015, when ReedPop purchased ECCC, many fans of the show were concerned that ECCC would lose its unique flavor, yet ReedPop vowed to preserve the special environment of Emerald City, and to bring its fan-friendliness to its other cons. Having attended ECCC for the past 3 years, I can confirm that this was certainly the case this first year of full ReedPop integration. The major change I noted during the 4 day con was the introduction of DJs to warm up the crowd in the Main Hall before the biggest panels. Anyone who has been to NYCC or C2E2 will be familiar with the pop music/dance antics that take place on the big stages between panels, and ECCC attendees seemed to take to this new approach very well, judging by crowd reaction. The new performers integrated well with returning ECCC main stage host Claire Kramer, and only enhanced her role in interviewing Main Stage panel guests. The other notable influence from ReedPop was the introduction of a ‘live’ stage off to one side of the exhibit area, where 15 minute presentations ran back-to-back on geeky subjects such as video gaming and Lego. The location of the stage was unobtrusive, and did not interfere with the usual vibe of the exhibit floor, yet many attendees enjoyed the informal programming here. So how does ECCC stack up against other major cons? 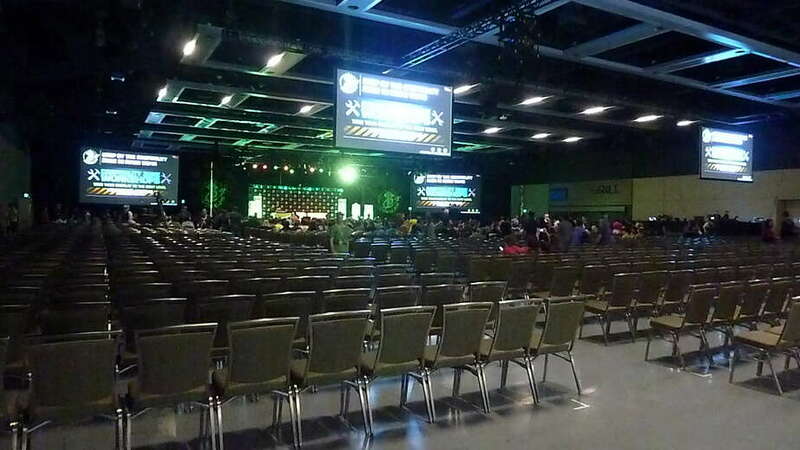 While it may not have the same Hollywood studio presence as some other conventions its size, Emerald City makes up for this by offering a wide variety of quality panels in many areas, and providing an extremely fan-friendly atmosphere. If you are on the west coast of Canada or the US, this is an easy con to attend, and one that is worth checking out. Next year ECCC returns to Seattle on March 2-5, 2017, and I hope to see you there! Join the discussion on FoCC!